Finally I can show you the super secret project I’ve mentioned once or twice! My knitting group organizes birthday swaps, kind of like Secret Santas. 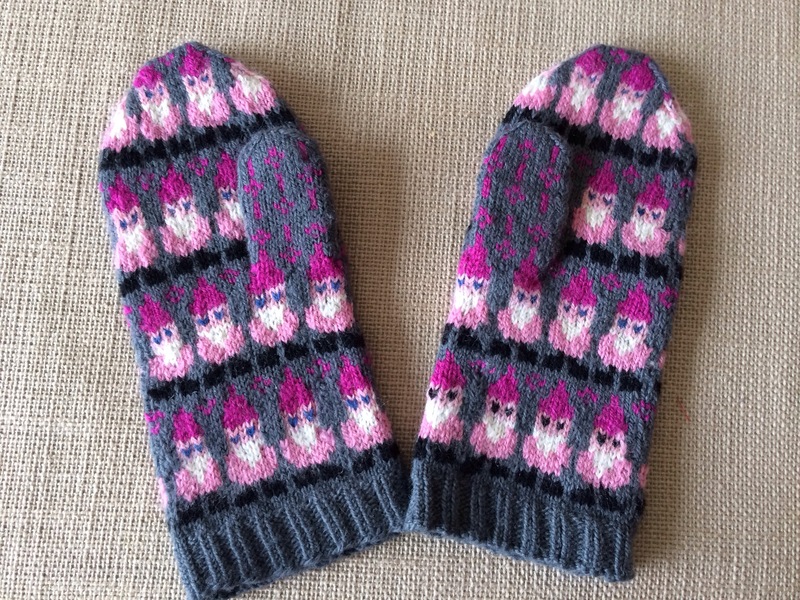 This year we’re knitting mittens/fingerless mitts/etc. for the person assigned to us. 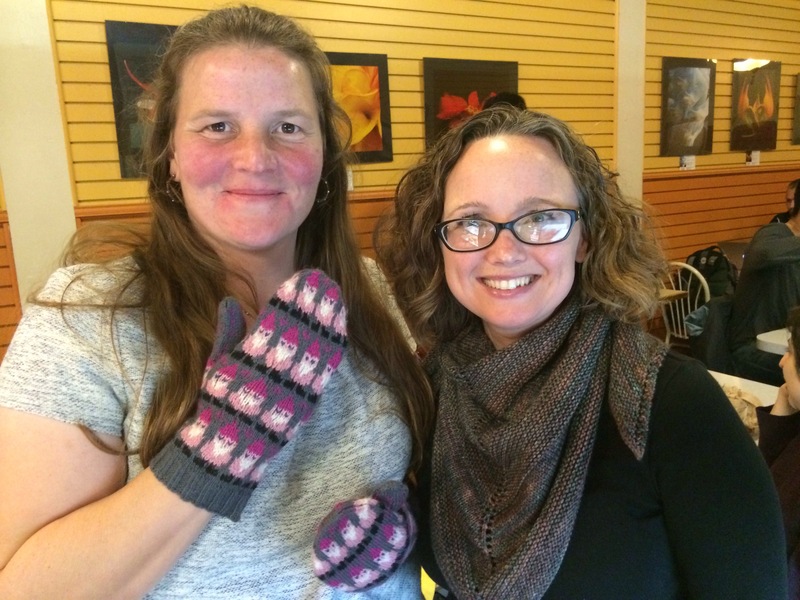 Last night was my turn to present a fellow knitter with the project I made for her! 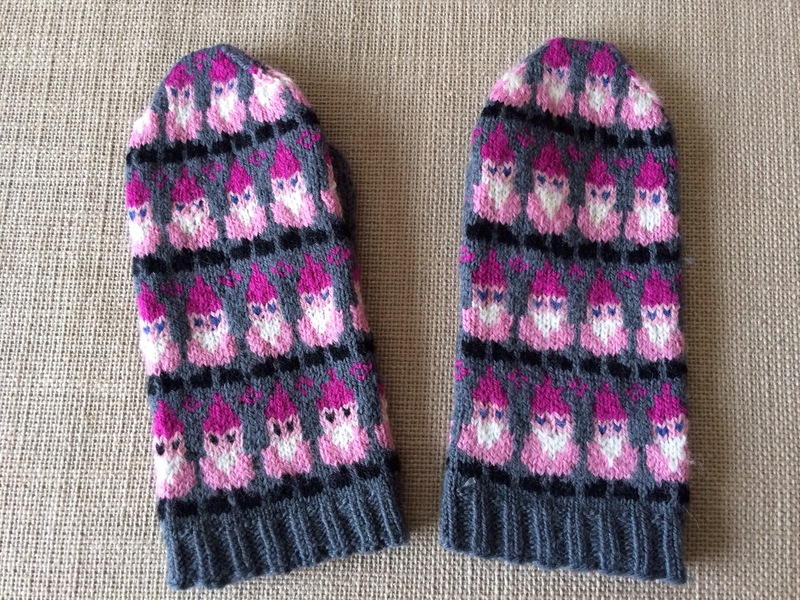 I knitted the Gnome Mittens, a paid pattern by Spilly Jane. My recipient LOVES pink, so I changed the palette from black, blue, and red to gray, pink, and pink! 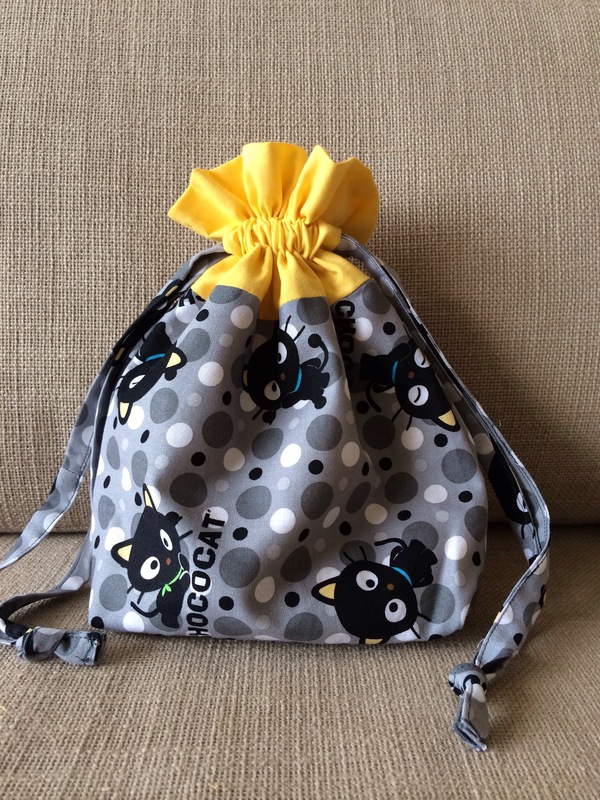 I decided to present the mittens in a custom-sewn project bag featuring Chococat, and make a set of stitch markers as well. She was very pleased! 🙂 🙂 🙂 it’s not easy for me to keep secrets, so I’m glad this one is out! Also, I was really looking forward to seeing her reaction to my efforts, and I was happy in the end. Love those gnome mitts, there are super. Thanks! 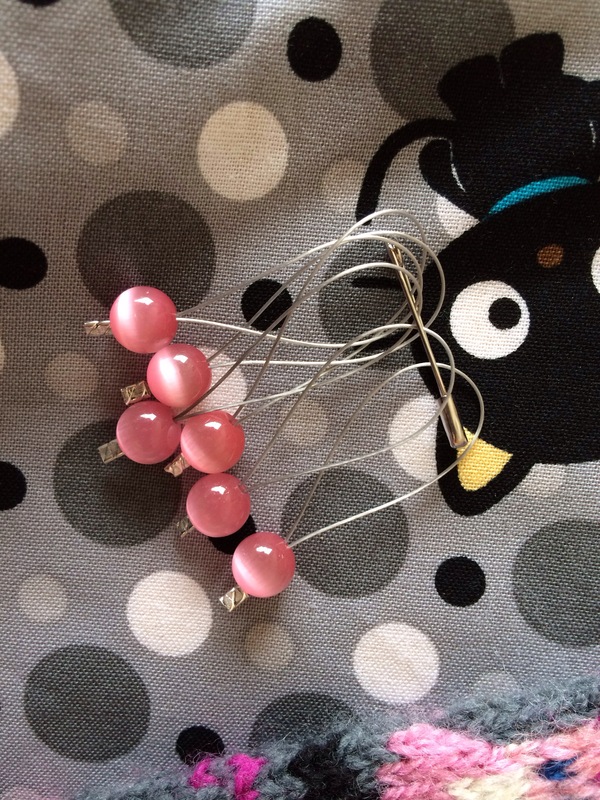 They were quite an undertaking, but I love them! Riiight? What’s not love about gnomes??!! Good call on the color changes! They are drop dead adorable. Thanks! I’m so pleased that they turned out well! Ohhhh if I’d known that, I would have saved a little project bag for you! I had enough fabric left for 2 little ones, but I donated them to the Mother Bear Project for sale at their booth!